The North American League of Legends Championship Series (NA LCS) returns this weekend with all but one team bloodied and bruised from the last series of upsets. Echo Fox heads into the fourth week with the only squeaky clean match record of the lot, and we think there’s little chance this week’s competition will ruin their impressive run just yet. 100 Thieves and Cloud9 have both steadily improved their picks and plays and head into their Friday matches in better form, but we’re also banking on at least one unexpected winner to pull through. 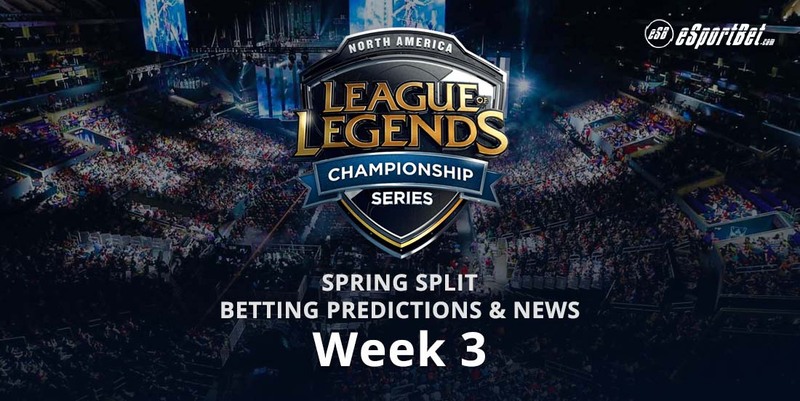 Here are our best bets and team picks for Week 3 of the 2018 League of Legends NA LCS Spring Split. With top lane marvel Seunghoon ‘Huni’ Heo and jungler Joshua ‘Dardoch’ Hartnet leading them, Echo Fox have had the late game on lock since day one. This year’s meta has revolved heavily around end-game teamfights and EF have been on point with their picks, and it’s the reason they’ve yet to lose a game. Whether it’s Huni’s Gangplank creatively saving inhibitors with a last second auto on cannon, or Daroch’s Zac on crowd control for smart and oppressive late-game engage, it’s clear they are the most coordinated, not to mention most entertaining team in the NA LCS to watch at the moment. Ultimately, Echo Fox are proactive on the lanes and never let early leads dictate their pace or shake their nerves. We can’t say the same for CLG, who feed their opponents with easy kills and opt for highly suicidal dives whenever the opposing team gets the early game lead. We’re backing Echo Fox here for an easy win and worthy watch. Cloud9 delivered a nasty upset to 100 Thieves and put up a decent fight against Echo last week to firmly entrench themselves in the top 4. C9 mid-laner Nicolaj ‘Jensen’ Jensen has led the way with some smart ganks and first bloods as Taliyah and jungler Dennis ‘Svenskeren’ Johnsen continues to impress with his objective control. In contrast, Optic’s Tristan ‘PowerOfEvil’ Schrage has played some great mid-lane but the rest of the team have been incredibly sloppy with their picks and gold lead. C9’s mid-game-centric team composition has worked wonders for them so far. 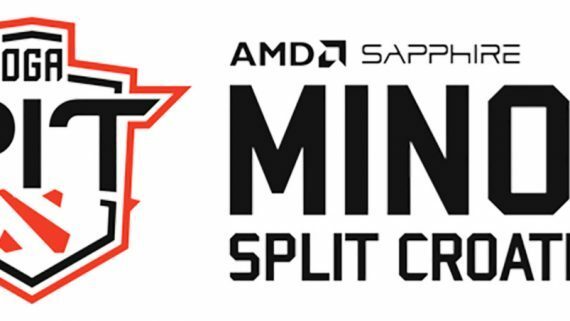 If they can continue to keep their enemies guessing with their non-meta friendly picks, they’re more than capable of biding their time with careful farming and shutting down Optic. 100 Thieves managed to deliver and receive major upsets last weekend, but the star-studded roster is still one of our favourites to give Echo Fox a run for its money down-the-line. Mid-lane crowd pleaser Yoo ‘Ryu’ Sang-wook and jungler William ‘Meteos’ Hartman continue to prove the haters wrong with solid defense and their prompt shut downs of overly-aggressive plays, and their picks of Camilla, Gnar, Malzahar and Shen have been utilised well so far. Clutch had an easier time last week with CLG’s bottom-of-the-barrel form, but its weak resistance against Liquid the following day highlighted their many weaknesses, namely preventing star player jungler Nam ‘LirA’ Tae-yoo and his late-game picks from getting ganked and feeding the other team easy kills. Expect a similar steam-rolling in favour of 100 here. Golden Guardians are at the bottom of the ladder and TeamSolo Mid’s recent form has been just as appalling, but we think GG are about due to lift their game. GG mid laner and shot-caller Hai ‘Hai’ Lam hasn’t been as vocal as we hoped from past series, but he’s kept the team together and their mid-lane and bot-lane has shown dramatic improvement from opening week, even with their continued losses. In contrast, TSM are a shell of their former superstar roster, even with jungler Mike Yeung doing his best to justify his signing. Søren ‘Bjergsen’ Bjerg was absolutely shocking on the mid-lane and utterly wasted his Malazhar pick against Echo Fox last week, quite literally doing nothing to help his team. Meanwhile, it took TSM more than 60 minutes to close their first win against the much weaker Optic, even with a 10k gold lead. Normally anyone would call this match a one-sided affair, but TSM have been playing like a bunch of solo picks thrown together with zero team cohesion and terrible dive timing with little signs of improvement. We expect Hai and company will put their recent mid-game composition approach to good use here and hit them hard when they’re expecting another easy opener. Where can I watch NA LCS esports? Every week you can watch the North American League of Legends Championship Series live-streamed for free via Riot Games’ official website, either on your computer or smartphone. Bovada.lv also has links to live-streams next to each betting market of each match for convenience.